We’ve teamed up with London’s latest family-friendly event Wild Child Festival to offer a lucky reader a family ticket. The festival runs from 17 to 19 August in Dulwich and has everything from STEAM labs to storytelling and much more for the whole family. 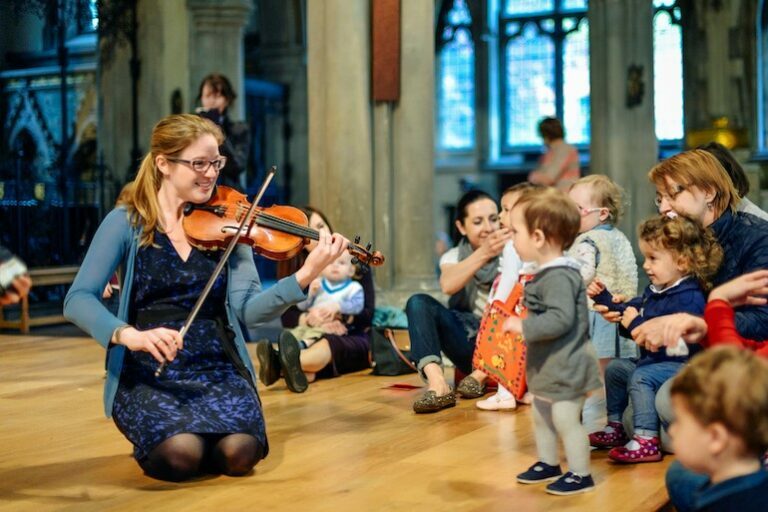 Wild Child is an enchanting new family festival set in the leafy green area of Dulwich, South London, celebrating the very best in child-focused workshops and entertainment. With an emphasis on the arts, creative play, STEM and wellbeing for 0 to 11-year-olds and their grown-ups, Wild Child provides a fun-filled day out to entertain the whole tribe. Dance the day away in the Bop Along Ballroom, learning a new dance style at a family dance workshop including Bollywood, Line Dancing and Street, or see a ballet or bust a move at the family disco. Get tech-savvy in the STEAM Lab trying coding and exploring science or even roll up to the Little Top to learn tightrope walking or trapeze. Laugh out loud in the Giggly Grove where you’ll see cracking entertainment from top comedians, or make a grand work of art in the Crafty Den with giant outdoor painting and cool crafts. Mini-entertainers can learn magic tricks in the Magic Hollow, have fun with interactive storytelling in the Wordy Wood or enjoy an array of live music from classical and jazz to Broadway and beatboxing in the Harmony Hideaway. Visit the Playhouse for theatre and puppetry shows or sit back and relax in the Wellness Warren for a spot of yoga or creative wellbeing activity. 2. Ticket valid for one day only. 3. Winner will be chosen Friday 3rd August.